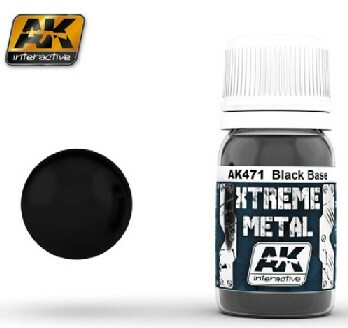 A glossy Black Base of ultra high strength, to further enhance the sheen of the applied metallic colours. Xtreme Metal is a new, high quality metallic range, developed with outstanding pigments, and specially formulated to give you the best results. Resistant to masking, any type of weathering, with ultra high coverage power, and fast drying. Now it’s easy to clean your airbrush without leaving any pigment/paint debris. These are quite simply the highest quality metallic paints ever seen.